Cannabis has been a popular topic recently, with a clear consensus that there are wide health benefits to the plant, and evolving laws that are increasing its availability. Recognized commonly for its use in chronic pain and inflammation, its benefits in treating a variety of skin conditions is a less familiar topic. This article will focus on cannabidiol (CBD) only, i.e. the part of the plant not containing tetrahydrocannabinol (THC), which is the psychoactive part that gets you high. CBD's effect on skin goes beyond its anti-inflammatory effects, and is not only helpful in treatment but prevention as well. Dr. Phillip Blair, MD, Ret. COL spoke on this topic at the recent Cannabis World Conference and Business Exposition in Los Angeles. An international consultant on medical uses of CBD, Dr. Blair geared this presentation to the effects CBD can have on such conditions as acne, psoriasis, and even skin cancer. This was the inspiration for this article. Cannabidiol (pronounced Can’na-bi-die’-ol) is a derivative of the cannabis or hemp plant that contains a number of beneficial natural chemicals such as cannabinoids and terpenes, providing a synergistic or "entourage effect." This means that when added together, the effects are not simply additive, but create a more potent effect overall. Over-the-counter cannabidiol, legal in all 50 states, contains less than .3 percent tetrahydrocannabinol (THC). In states where licensed, plants and their derivatives that contain more than .3 percent THC require a medical license and are purchased at a dispensary. That is a changing requirement, though, beyond the scope of this article. THC is the chemical in the plant that has direct mind- and mood-altering effects; i.e., it gets you high. Non-THC CBD also can have positive effects on mind and mood, but without the "high" effect. Cannabidiol (CBD) has been shown to have positive effects on a variety of skin conditions, its mechanism of action going beyond the commonly accepted anti-inflammatory properties of CBD. The most common modes of administration for skin care are orally and topically. 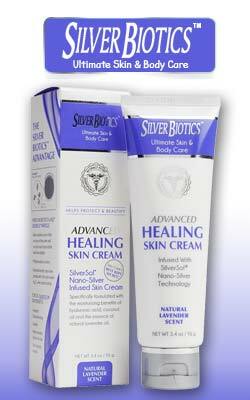 Conditions treated include acne, eczema, psoriasis, skin cancer, wound healing, and aging skin. Acne is generally a result of overactive sebaceous glands. The body's endocannabinoid system (ECS) which plays a key role in the regulation of sebum production1 responds to both endocannabinoids (made naturally in our body) and phytocannabinoids (found in the cannabis plant). Balancing the ECS is key here. Eczema is a common skin condition characterized by a red, itchy rash, most commonly appearing on the face, back of the knees, wrists, hands, or feet, but may affect other areas as well. Eczema affects about 10 percent to 20 percent of infants and about 3 percent of adults and children in the US. Psoriasis is an autoimmune disorder which includes pathological overproduction of skin cells. The cytokine, Interleukin-17 (IL-17) is known to be largely responsible for psoriasis. CBD reduces the production of inflammatory cytokines IL-17 and IL-6 and increases the production of an anti-inflammatory cytokine, IL-10.6 This is a great boon to psoriasis sufferers, who have had to cover up with clothing, or take strong and expensive medications. They can now use a product that not only treats their unsightly rash, but has side benefits instead of side effects. Many studies show promising results of cannabis on cancer cells. One study found that activating the cannabinoid receptors induced cell death in tumorigenic epidermal cells, while the non-cancerous epidermal cells remained unaffected.7 Dr. Blair discussed his experience with a 50-year-old man with recurring basal cell cancer. He had the cancer removed and covered the area with CBD under a band-aid. The patient experienced complete healing at two months with no signs of recurrence. There is considerable anecdotal evidence related to cannabis and wound healing. A few studies suggest that activation of the endocannabinoid system plays a role in this process.8 Dr. Blair showed some before and after photos of a patient with a wound on his arm, showing significant healing within 12 weeks. There are an increasing number of CBD-containing skin care products, owing largely to its anti-inflammatory effects, which can counter the effects of aging. For skin conditions, CBD can be taken orally, in capsules, gel caps or tinctures, or topically, as a cream or oil. Dosing should start at 15 mg of CBD twice a day orally, adjusting the dose upward as needed. It not unusual to go up to 60 mg. For a location-specific condition like eczema or skin cancer, you can apply the topical cannabis directly on the affected area. For nonspecific topical application, CBD oil can be applied to the back and covered with a band-aid as protection. Any improvements are typically seen in about two weeks after the first dose. A number of troublesome and heretofore difficult to treat skin conditions have been resolved successfully with its use. And this is just one of a growing wave of uses of CBD. We thank Dr. Phillip Blair for supplying both the inspiration and a portion of the material for this article. Dobrosi N, et al. Endocannabinoids enhance lipid synthesis and apoptosis of human sebocytes via cannabinoid receptor-2-mediated signaling. FASEB J. 2008;22(10):3685¡V95. Appendino G, et al. Antibacterial cannabinoids from Cannabis sativa: a structure-activity study. J Nat Prod. 2008;71(8):1427¡V30. Eberlein, B., Eicke, C., Reinhardt, H.W., and Ring, J. (2008, January). Adjuvant treatment of atopic eczema: assessment of an emollient containing Npalmitoylethanolamine (ATOPA study). Journal of the European Academy of Dermatology and Venereology: JEADV, 22(1), 73¡V82. Biro, T., Toth, B.I., Hasko, G., Paus, R., and Pacher, P. (2009). The endocannabinoid system of the skin in health and disease: novel perspectives and therapeutic opportunities. Trends in Pharmacological Sciences, 30(8), 411¡V20. M. Llanos Casanova, et al. Inhibition of Skin Tumor Growth and Angiogenesis in Vivo by Activation of Cannabinoid receptors. JCI. 2003;111(1): 43¡V50.